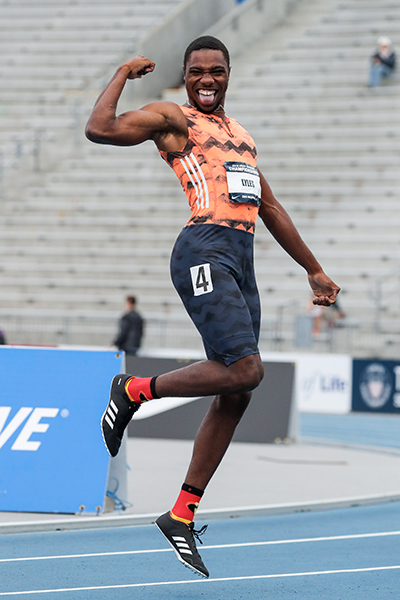 Speed, on the track for sure but also in racking up honors, is Noah Lyles’ stock in trade. 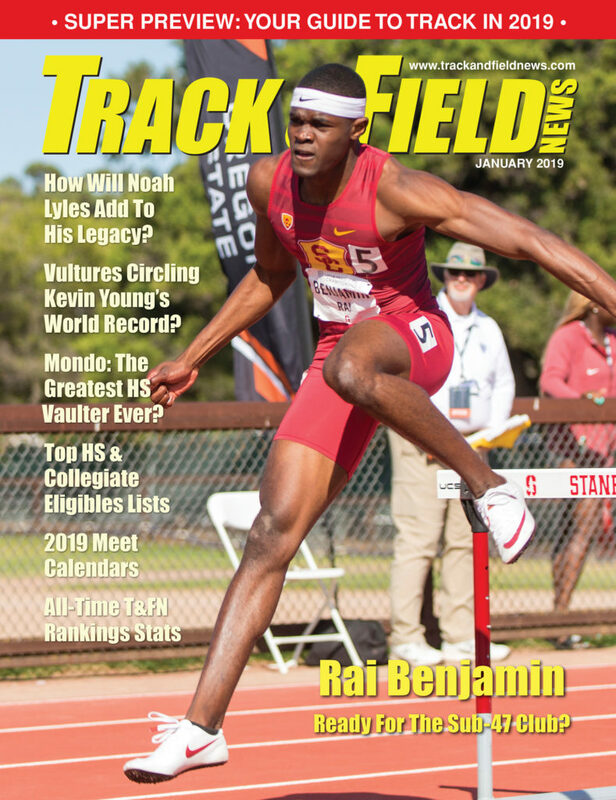 Just three seasons ago he earned T&FN High School Boys Athlete Of The Year honors for a second year in a row after lowering the half-lap HSR to 20.09. Skipping his NCAA eligibility he turned pro with adidas and World Ranked No. 2 in ’17. Then in ’18 he took it up another notch, earning No. 1 in the Rankings and also rating as U.S. Men’s AOY. 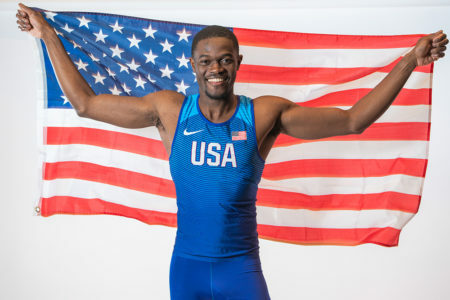 Already, but not prematurely and with appropriate humility, Lyles is thinking “Legacy.” The ’19 season will be the first in his rapidly rising career with World Champs medals realistically arrayed within his reach. Keep your peepers peeled. 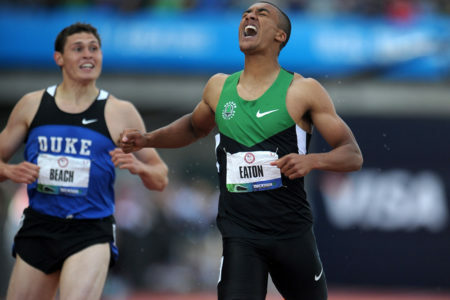 Following an undefeated ’18 season in the 200 that brought the No. 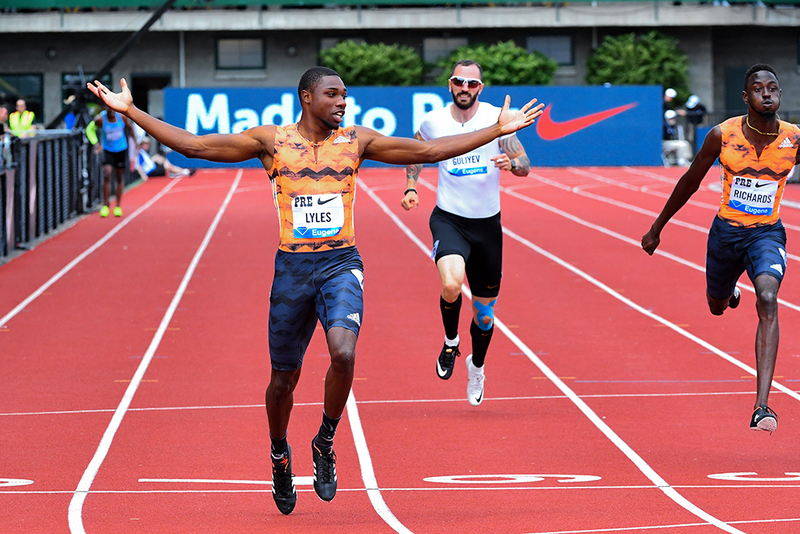 1 World Ranking and his second straight Diamond League crown, Lyles starts ’19 as the man to beat in the deuce. No one else has ever produced five straight sub-19.9s in a season and in having dashed four consecutive times under 19.70 in one year his only company is Usain Bolt. That has Lyles feeling well positioned, a golden glint in his eye, for the World Champs year. But if he’s already talking “legacy,” and Lyles is, there’s that other event, the 100 in which he World Ranked No. 3 in ’18, to weigh in the balance. In the first major title campaign of his pro career—which means rounds and finals at the U.S. Worlds trials and the same in Doha should all go swimmingly—the 21-year-old star is thinking double. Again Lyles harkens back to his development as a prep, where his biggest outings were always in the 200 and his racing success in the shorter dashes, which he mainly ran indoors, depended on a hard-charging finish. 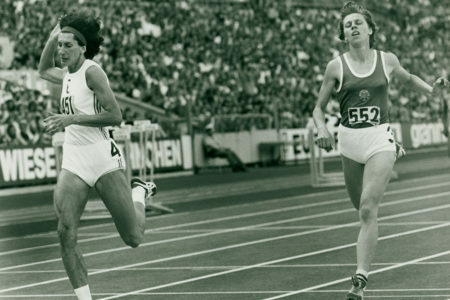 “I wasn’t the fastest [short sprinter]. In Virginia we’d do the 50 and the 60 we would do at Nationals, so I’d rarely run the 60, but in high school, yeah, I was not anywhere close. I was always that guy who’d come up from behind just in the nick of time. I think my sophomore year, it wasn’t very good. I made it to States and I didn’t go to Nationals because I wasn’t fast enough, so it kind of is still very similar. But later that year, you know, my 100 actually started picking up because I think that’s when I ran 10.45 in the 100. So I went from 10.7 my freshman year to 10.4 as a sophomore. Once Lyles wrapped his ’18 season with a win in the Continental Cup 100, “I didn’t stop traveling” throughout the fall, he says. “As soon as I got back I had to go to Jamaica for my mom’s wedding. She just got married and it was definitely just a lot of fun. We were at a resort and we were just chilling, relaxing by the pool, partying and all that good stuff. I got to see my mom [Keisha Caine, an NCAA 400 scorer for Seton Hall in her day] get married, I got to walk her down the aisle with my brother. It was a beautiful moment. “And my brother and I, we built a house so as soon as I got home [from the wedding] we spent the whole week moving,” unpacking boxes, hanging blinds and TVs. 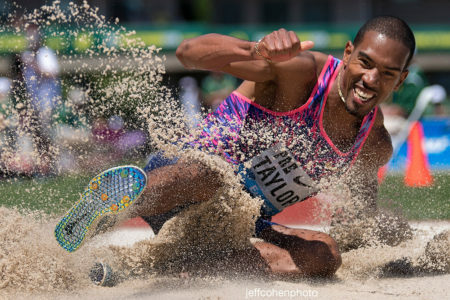 With no indoor races planned and the late finish (early October) of the ’19 season accounted for, Lyles at least had the luxury of time for the task. When he wants to unwind, Lyles records hip-hop tracks, an avocation he took up a year ago. “I’ve released like four songs,” Lyles says. “I made one for the adidas Boost Boston Games with Sharika Nelvis. They played that actually on TV while I was about to start running. 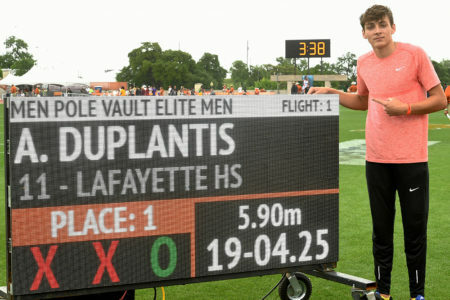 And then for Monaco, I actually released a song and they put it on my Diamond League diary.” Over the off-season Lyles dropped two more tracks on SoundCloud. Sieg Lindstrom is Track & Field News's Managing Editor. He fell in love with the sport as a high school distance runner, and has covered 8 editions of the Olympics and 14 outdoor World Championships. 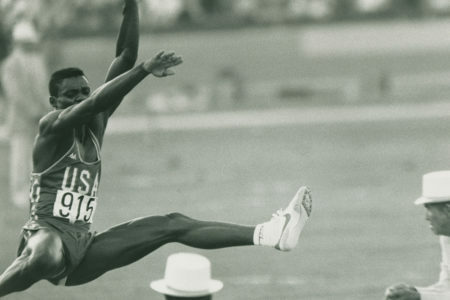 In a feverish effort to brush up his résumé before he was hired, he also attended the ’84 Olympics and ’87 Worlds as a fan. « Are The Vultures Circling Kevin Young’s World Record?